Weighs approx 40 grams and fits wrists from 7 to 9 inches in circumference. 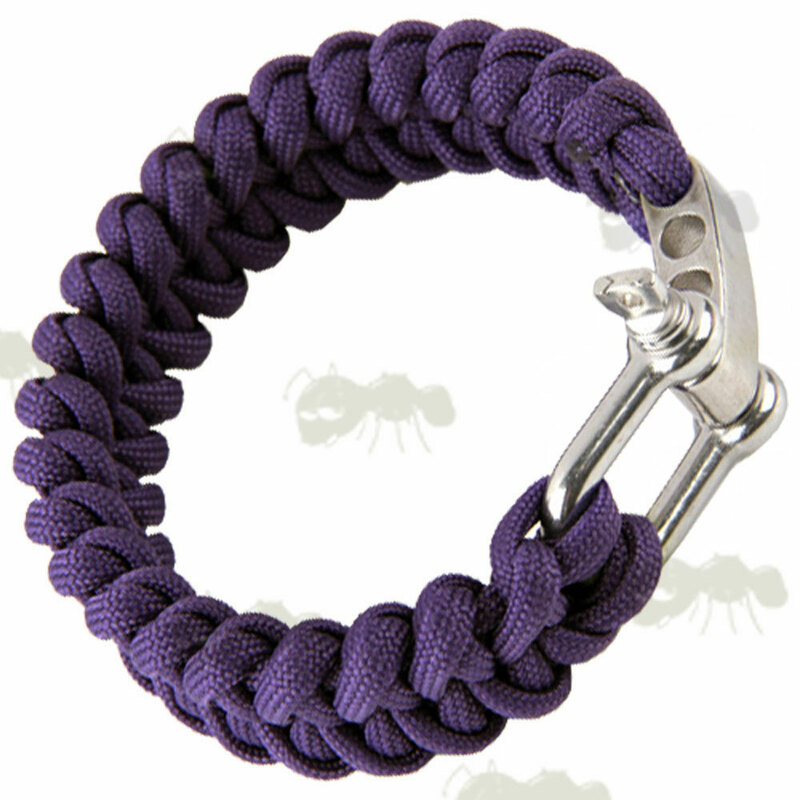 Each bracelet is complete with a D-shaped shackle with adjustable length block. 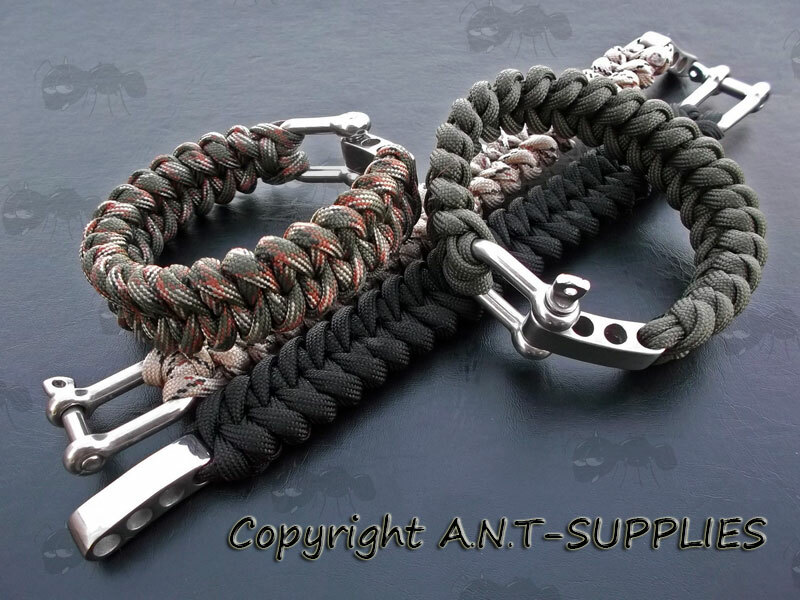 The bracelet can be unwound in survival situations to produce usable survival cord.